March 2018: David has been hired as the voice coach for Blizzard Entertainment's Overwatch League announcers. April 2018: David will appear in a co-star role in Get Shorty, starring Ray Romano - Watch for him Episode 4 of Season 2. 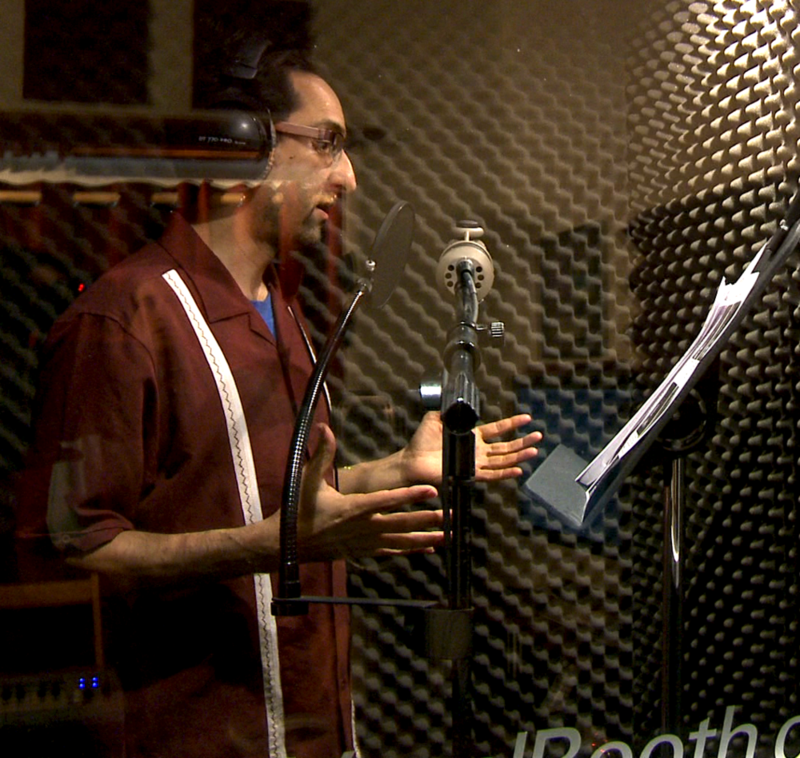 David has been working professionally as a singer, actor and voice over artist since 1996. 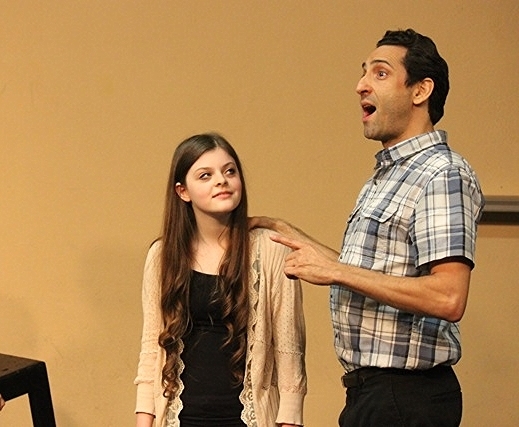 He recently starred as Elliot in the World Premier musical, "Reunion" at the Noho Arts Center. He appeared in the recent Grey's Anatomy episode "Unbreak my Heart" as Jackson Avery's Lawyer, and he debuted on General Hospital in March as ER Doctor Thomas, helping to save April from smoke inhalation injuries. In 2015 David sang the National Anthem at the LA Equestian Center, recorded a radio voice over for McDonald's, filmed on on-camera commercial for H.E.B. grocery and was featured in many other theatrical and recording projects. You may know David as the "Carfax Guy"- he has been featured nationally over the last couple years in the funny commercial campaign. David appeared in 2014 in Criminal Minds (Season 10, Episode 3). You have also heard him in several video games, commercials and narrations, or seen him perform onstage in musicals and plays in Los Angeles and San Francisco. In Dec. 2013 , David performed songs from his recent album release "Long Last Goodbye" at Club Quattro in Tokyo . David Babich has been a sought after vocal coach , voice over director and singing teacher in Los Angeles and San Francisco since 1999. He started his own voice training in 1988 with UCLA choral director Donn Weiss and then David went on to study with Tim Mussard and Heinz Blankenberg, graduating in 1992 with a degree in voice and music composition. Since then, David has continued to study prominent singing methods and styles including Bel Canto, Musical Theater Belt, Speech Level Singing, North Indian Raga Singing and The Bristow Method. In 2005, David became a certified VoiceWorks Associate, mentored by world renowned voice expert Lisa Popeil. In total, David has studied with 11 Singing and Performance coaches. After graduating from UCLA in Voice and Music Composition in 1992, David began learning how to record and mix music, producing on a 4-track cassette recorder. He moved to the Bay area in 1994 where he put his highly tuned ears to good use as a musical director for several theater companies, including San Francisco Shakespeare Festival, Theatre Works, Pacific Playback Theater, The Magic Theater and Art Street Theater. In 2005, he was commissioned by American Conservatory Theater (A.C.T.) in San Francisco to compose an original score for the MFA production of Caucasian Chalk Circle, which he also musical directed. He continues to work as a composer on selected film and video projects and has recently completed his 2nd solo CD of alternative pop songs. David records and produces voice over and music projects. David in Criminal Minds, season 10, episode 3. Featured in photos on this site: Tiffany Chin-Sim, Dante Cimadore, Shelley Francisco, Toniann Monaco, Justin Vargas, Delaney Joy, Daniel Herscher. Photographers : Daniel Gamburg, Matt Harrison, Blake Gardner.